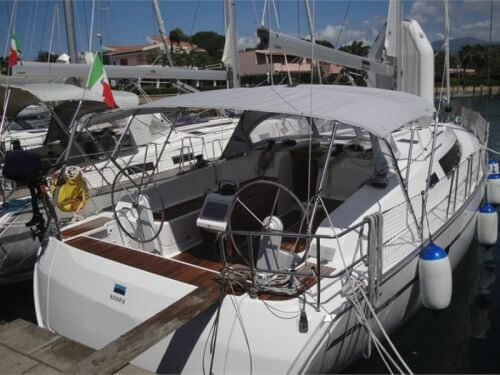 Looking to sail from Portorosa, Sicily? Search to find and book your ideal boat, or read everything you need to know: prevailing winds, where to sail, how to get there and more! With sunshine, blue clear seas, and reliable winds, Sicily has the absolute perfect weather for sailing - and with the Aeolian islands, it also has a similarly perfect place to explore. Only fairly recently formed (260,000 years ago), and named after the Greek demigod of wind (Aeolus) the Aeolian islands are an impressive mix of islands formed from volcanic activity - Vulcano and Stromboli are still active today (albeit fairly quietly - you'll notice the plumes of smoke from miles around, and there are craters of molten magma to be seen!). The whole island group is paradise of nature, and is now a protected UNESCO site and nature reserve - which means you'll be able to spot dolphins at play - amongst a colourful range of wildlife - around the islands. 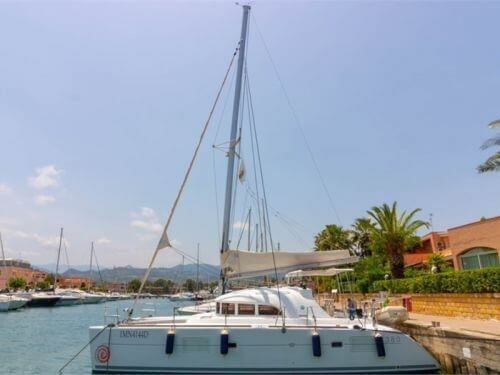 There's dramatic scenery, incredible food and hospitality, and quiet and relaxing places to be found around the islands - if you like sailing, you'll love sailing from Portorosa. The Aeolian islands are a dramatic, but beautiful and tranquil place to sail. 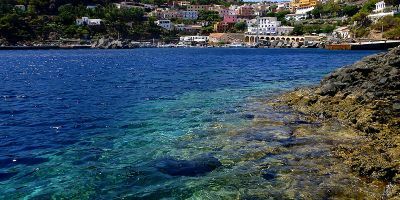 Whilst the whole area is undoubtedly dominated by the volcanoes of Etna, Vulcano and Stromboli, you'll find secluded bays and pristine beaches in almost any which direction you go. 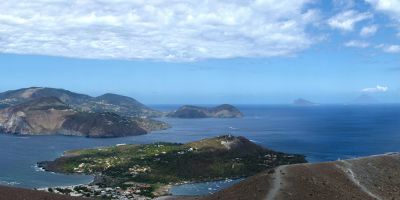 There's only five major islands, and it's very doable to explore them all within a week, and you'll find something to like about each island - the volcano at Vulcano, the white pumice beaches of Lipari, the dual-volcanoes and bronze age settlement of Portella of Salina, the coral reefs and wildlife of Panarea, and so much more. The islands are unlike any other islands on the world and offer an intriguing place to sail - and life on board is all the sweeter when your voyage into nature is accompanied by the local sweet Malvasia wine. We have exclusive rates on the local Imray Charts or you can check out our very own sailing distance calculator to check distances and easily plan your route before you go. A volcanic island. The hike to the crater at the top of the volcano is free, and well worth the effort, with science in action and splendid views! Famous for it's crazy white beaches and turquoise blue sea, this island used to the supply the whole world with pumice stone. Pick up a piece for free. 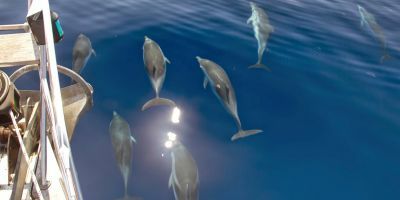 Panarea is an unspoilt gem of an island, and it's not just tourists who love it - it's also popular with dolphins, whales, supremely colourful fish and coral reef. 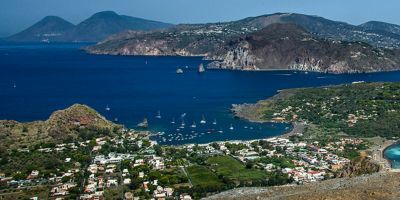 Our six-day itinerary covers 105 nM and ticks off all the key islands in the Aeolian, with the exception of Stromboli (where there isn't a marina, for obvious reasons). Heading north to beautiful Vulcano, pristine Lipari and ancient Salina, circumnavigating the wildlfie paradise of Panarea in search of dolphins, and returning via Milazzo, with it's medieval castle. This trip explores the full extent of beauty and flavours that the area has to offer. What temperature will it be? See the graph for weather averages. What is the wind like? 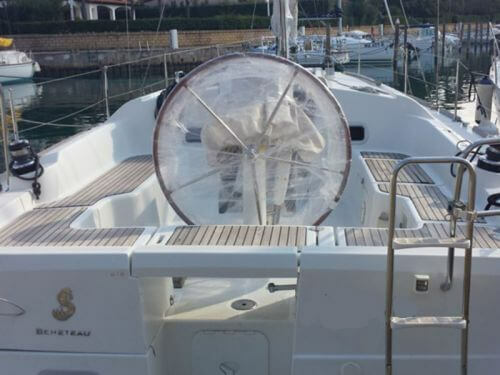 Wind tends to arrive from the North-west or West during the summer months, and tend to be around force 3 or force 4, which makes them excellent sailing conditions. On occasion, strong mistral winds can blow over from France, but they tend to only last a couple of days before the normal, glorious winds return. Winds in winter are less predictable, and can arrive in almost any direction (though predominantly from the South), so be sure to check the forcast before heading out to sea. What is the Current Weather in Portorosa? Portorosa marina is the biggest marina in Sicily, and is now the centrepiece of a tourist resort complex - complete with hotels, holiday apartments, restaurants and bars, and all sorts of things for sailors and land-lubbing tourists to see and do. Most tourists come here to sit on the beach with an ice cream, but if you're into culture, then there's the nearby Roman ruins at Tindari to explore (or, a short drive away, Taormina is famous for its Roman arena, which is still standing despite having been built in 300 BC). There's also local forests and vineyards to meander around. 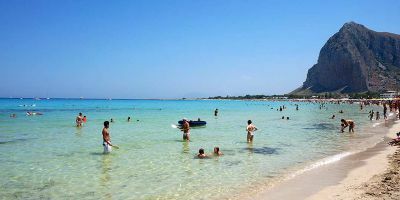 Portorosa is on the North coast of Sicily, almost directly due South of the Aeolian islands. 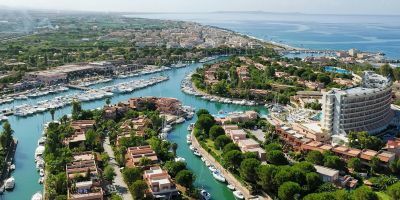 The marina is the largest in Sicily, with space for over 700 berths, and has all the pre-requisites of water, electrics and toilet facilities. As the marina is part of a large holiday complex, complete with high-rise holiday apartments, then there's also plenty of other facilities close by - such as shops and restaurants to keep the land-lubbing tourists happy. The closest airport is actually Reggio Calabria airport on the Italian mainland, but that generally only caters for domestic flights. 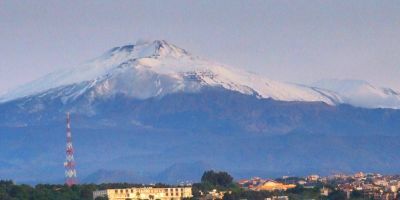 The nearest international airports to Portorosa are Palermo (the capital of Sicily) and Catania (a budget-airline base in the East of Sicily) - both are about two to two and half hours drive away. PlainSailing.com can help to arrange transfers to and from the marina, or you can grab a taxi or uber at the airport. 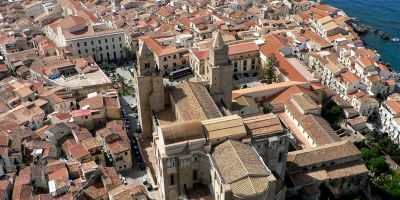 If you prefer to travel by public transport, there are also buses and trains that run around the coastline of Sicily, but the journey time is upwards of five hours.